Jihad Hazzan, Chief Operating Officer (COO) of ALFAHIM Hospitality, and Elias Madbak, Managing Director of RMAL Hospitality, the restaurant arm of the ALFAHIM Group, will now work closely with the newly formed business to expand further the group’s worldwide appeal, which currently has seven brands within its portfolio. 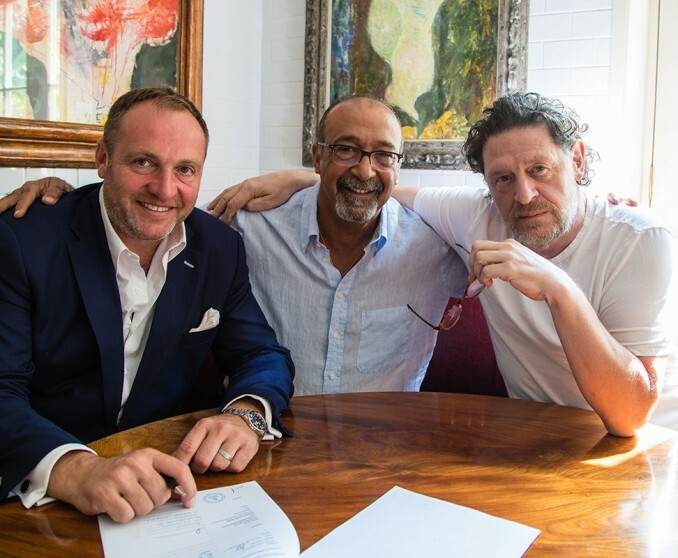 Jihad Hazzan, COO of ALFAHIM Hospitality said: “I have known Marco Pierre White for years and he is widely regarded as the Godfather of Modern Cooking, is hugely respected and is one of the most globally recognised names in the catering sector. After our successful expansion into the UAE, we’re now looking forward to developing partnerships for other regions.